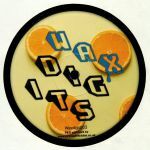 Review: Since first appearing back in 2011, DJ Osmose's Smokecloud Records has developed into one of the more reliable sources of pitched down, dubbed-out disco reworks. The label's Bedroom Disco series - so called, we suspect, because the edits tend towards the seductive and sensual - launched in 2014, and here returns for the first time since. There's much to admire, from the beatdown disco shuffle of Osmose's "Solid Game" and the rubbery, slo-mo disco-funk shuffle of The Silver Rider's hypnotic "Luv Ur Lyfe", and Osmose's delay and filter heavy AOR disco re-shape, "Stone Dance". Best of all, though, is Osmose's remix of King Most's "Fiesta Forever", a deliciously Balearic, glassy-eyed re-imagining of Lionel Richie's "All Night Long". Review: More Beatdown business from vinyl-only warriors Smokecloud. Osmose steps forward with the first half; "Help Me DISCOver" is a sample-savvy filtered enlightener while his edit of the Silver Rider goes for a much heavier, floor-pounding sense of insistency. Flip for twists from JP Source and Hristo. The former gets busy on a densely textured and tightly plucked guitar line while the latter takes us right down into sleazy town with an Isaac Hayes level of gravelly vocals and a sweaty guitar and organ pumped groove. 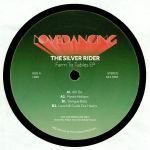 Review: For the latest hot-to-trot missive on his fast-rising Lovedancing imprint, main man Sleazy McQueen has turned to native New Yorker Silver Rider, a producer who has been a part of the nu-disco scene for longer than any of us can remember. He begins with the rolling disco-house sweetness of "All I Do", where glassy-eyed female vocals and twinkling melody lines rise above a bustling beat. "Mystic Notions" sees him successfully smother a broken house beat in tasty electric piano solos and swirling chords, while "Dengue Baby" is a tidy, slightly beefed-up revision of a flute-sporting Afro-funk gem. Finally, "Love Will Guide Our Hearts" provides a suitably shuffling and glassy-eyed end to a fine set of floor-friendly reworks.